A videographer and crew from The Today Show featured Boulder, CO, Letter Carrier Jeff Kramer who built a dog ramp for an aging dog on his route. In Boulder, CO, a 14-year-old dog named Tashi has learned to get around a little easier thanks to a ramp installed by Letter Carrier Jeff Kramer. Kramer first met Tashi a year and a half ago when the dog came outside to greet him on his route. “He was a very happy dog, but couldn’t move around,” said Kramer of Tashi’s difficulty walking up and down the porch steps. As time passed, Kramer noticed that Tashi’s owner had to carry him up and down the steps, so the letter carrier decided to help by donating the ramp he had used for his own elderly dog, Odie. Kramer stopped by Tashi’s home on his day off to install the ramp, which helped the dog reclaim his independence. Kramer went through the same thing with Odie and sympathized with the family. “I didn’t want them to make any difficult decisions because of Tashi not being able to move around anymore,” he said. Kramer was interviewed by several local media outlets and was featured on The Today Show on Jan. 21. During the recent Pet stamps first-day-of-issue ceremony at the Mandalay Bay Resort in Las Vegas, NV, fans of a variety of lifestyle-enhancing domesticated animals enthusiastically cheered the much-anticipated release. The special stamp collection features 20 different animals — two dogs, two cats, two birds, two fish, four reptiles, five rodents, a crustacean, a rabbit and a horse. Participating in the dedication event were Chairman of the Postal Service Board of Governors James Bilbray; Postal Service Chief Marketing and Sales Officer James Cochrane; Doug Poindexter, President, World Pet Association; Robert Vetere, Chairman, Pet Leadership Council and Founder, Popovich Comedy Pet Theater, Gregory Popovich. The Pets stamp collection is now available for purchase at usps.com/stamps, at 800-STAMP24 (800-782-6724), and at Post Offices nationwide. Some dog owners have said “my dog doesn’t bite.” But the reality is that under the right circumstances, all dogs can bite. There are many reasons why dogs bite. 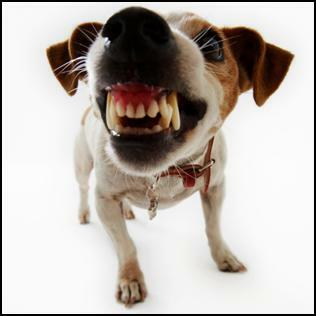 Dogs can be protective of their property, feeling the urge to attack in order to defend. This protection can extend around a yard, a favorite toy, or a human. A dog can be afraid, particularly around strangers, and may strike at someone out of that fear. Giving chase to prey is another reason dogs bite. A dog’s natural pursuit and catch instinct can be triggered when it sees someone running or bicycling. If a letter carrier delivers mail or packages to your front door, place your dog in a separate room and close that door before opening the front door. Dogs have been known to burst through screen doors or plate-glass windows to get at strangers. Dog owners should remind their children about the need to keep the family dog secured. Be sure to also tell children not to take mail directly from letter carriers in the presence of the family pet as the dog may view the letter carrier handing mail to a child as a threatening gesture. The Postal Service places the safety of its employees as a top priority. If a letter carrier feels threatened by a vicious dog or if a dog is running loose, the owner may be asked to pick up the mail at the Post Office until the carrier is assured the pet has been restrained. If the dog is roaming the neighborhood, the pet owner’s neighbors may be asked to pick up their mail at the Post Office as well. Many letter carriers across the country have been told by customers that their dogs don’t bite. While a pet might show a generous affection toward friends and family members, it may not feel quite the same way about strangers. Dogs have their own unique personalities and moods, and their actions may not be as predictable as an owner might think. There are many reasons why dogs bite. Dogs can be protective of their property, feeling the urge to attack in order to defend. This protection can extend around a yard, a favorite toy, or a human. A dog can be afraid, particularly around strangers, and may strike at someone out of that fear. Giving chase to prey is another reason dogs bite. A dog’s natural pursue and catch instinct can be triggered when it sees someone running or bicycling. – Don’t run past a dog. – If a dog threatens you, don’t scream. Avoid eye contact. 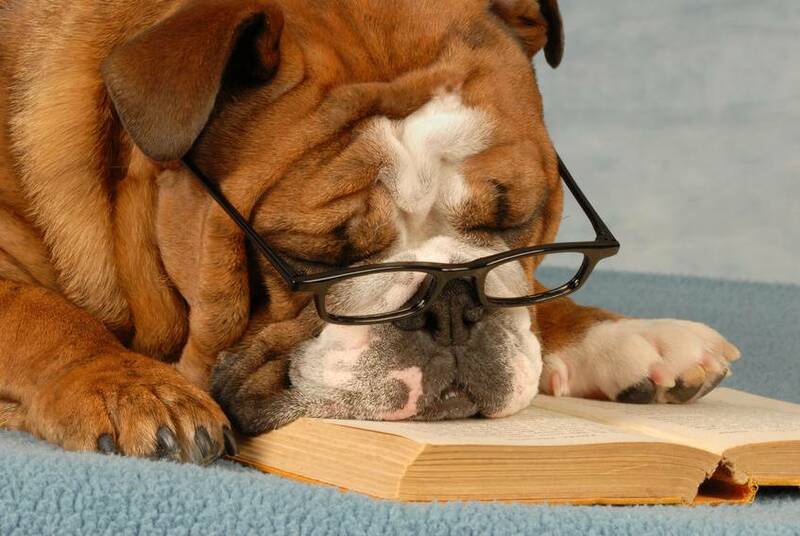 Try to remain motionless until the dog leaves, and then back away slowly until the dog is out of sight. – Don’t approach a strange dog, especially one that’s tethered or confined. – If you believe a dog is about to attack you, try to place something between yourself and the dog, such as a mail satchel, backpack, or bicycle. Dog owners should remind their children about the need to keep the family dog secured. Parents should remind their children not to take mail directly from letter carriers in the presence of the family pet as the dog may see handing mail to a child as a threatening gesture. 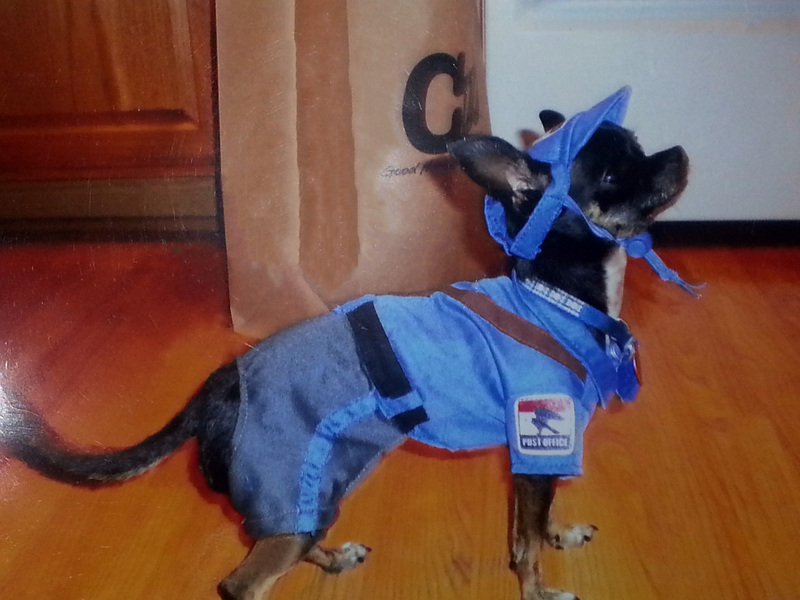 This ambitious postal pup was sent in by Charles Forkner of Minneapolis, MN. The curious canine stands at attention as though dutifully awaiting receipt of a customer’s mail piece. If the proud pooch were to speak to the customer in his unofficial postal capacity, what do you think he’s say? May 18-24 is National Dog Bite Prevention Week. This important campaign serves as a reminder that while dogs can be friendly, they also have the potential to cause serious harm. Dog owners are typically affectionate toward their pets, but some owners may have an unrealistic expectation that their beloved pooch “won’t bite” or “wouldn’t hurt a fly.” The truth is that all dogs have the potential to bite. Never enter an area where a dog is barking, snarling, eating, sleeping or nursing. Never antagonize or attempt to pet a dog. Do not make direct eye contact with a dog. Do not smile at a dog. This can be seen as a sign of aggression. Slowly back away from the animal. Never run, and never turn your back. Carry dog spray when possible. Place an object such as a backpack or bicycle between yourself and an aggressive dog if you believe it is about to attack. Never assume a dog is friendly because ALL dogs have the potential to bite. 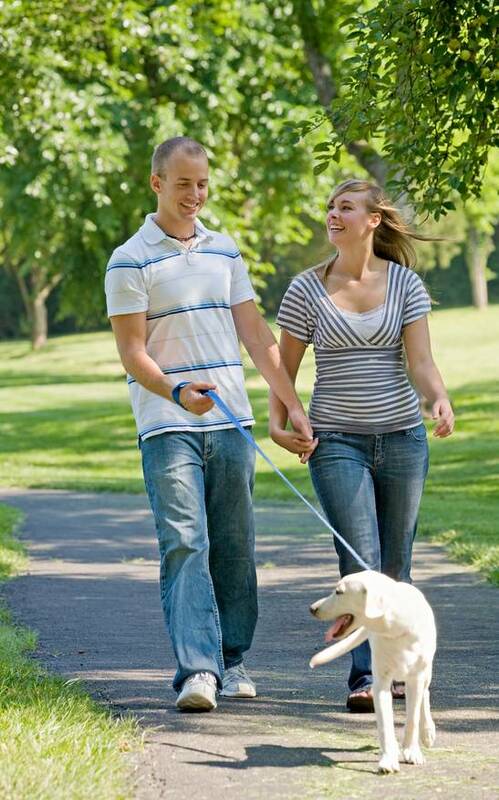 Many dog owners are conscientious in caring for their canine companions when taking them for a walk. A few, however, choose not to pick up after their pets when the need arises. An interesting approach by the town council in a foreign country allows a dog owner to be reunited with his or her pooch’s presents. The program was part of a week-long effort earlier this year by the town to address the problem of pet owners refusing to clean up after their pets. More than 140 owners received these special deliveries by mail. As a result of the efforts, violations decreased by 70 percent. The United Kingdom is currently seeking public input on adopting tougher penalties for dog owners who fail to restrain their pets from harming others. Currently, dog owners in the UK aren’t held liable for attacks that occur on their property. The new proposal seeks to modify the Dangerous Dogs Act of 1991 to hold dog owners accountable for attacks on their property while simultaneously protecting the owner from prosecution if the attack occurs against an intruder in the home. An increase in penalties for dog attacks is also being considered. Maximum penalties currently include up to 2 years in prison and an unlimited fine. The new proposal seeks to modify the maximum prison term to include life imprisonment. 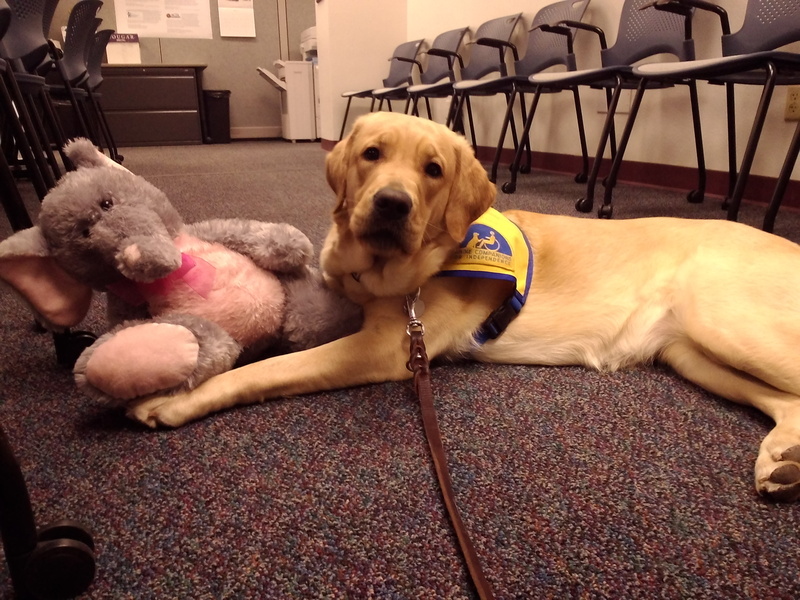 To read more about the proposed modifications to the Dangerous Dogs Act, click here.